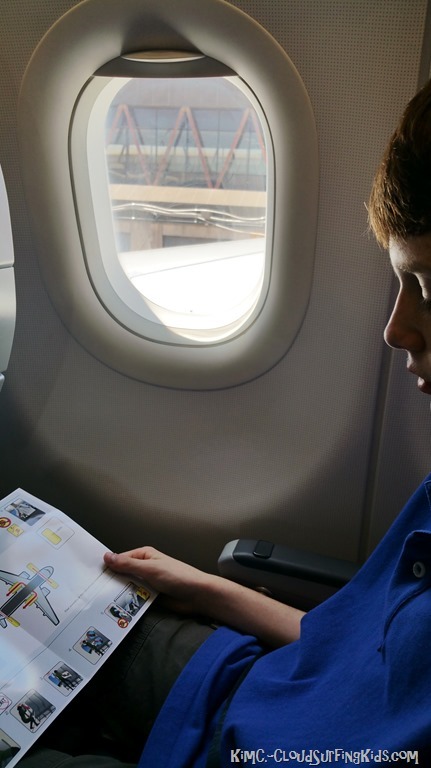 What’s it like to fly with a child who has autism? While there is a wide spectrum of the effects of Autism, my friend, Kim C., a 25 year flight attendant has some experience. Her 14 year old son is on the Autism Spectrum and also has inattentive ADHD and Sensory Processing Issues. In spite of the challenges, they fly very frequently—every chance they get! Please read on for some helpful tips to make your flying experience a breeze! We were so lucky to have the author of this post, Kim C., as our flight attendant on John’s very first flight! He was only 10 weeks old and colicky. Click here for tips on flying with a colicky baby. It was so nice to have a friend working the flight! I know with my son any outing goes more smoothly IF he has an idea of what to expect. This is especially true if your child has never been to an airport! Airports are busy places filled with lots of sounds and lots of people. The experience can be overwhelming. I recommend buying or renting or watching on YouTube a few of the several kid’s DVDs that relate to airplanes and flying. If your child is like mine, (s)he will watch them over again and rewind to their favorite scenes! There are also several books, one of our favorites is: The Noisy Airplane Ride by Mike Downs. 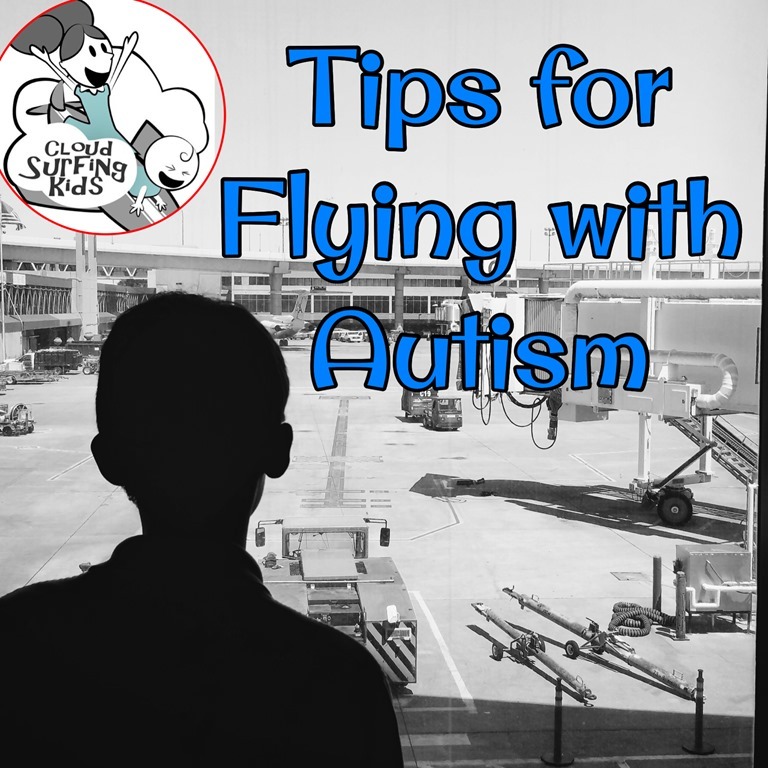 Travel Tip: There are several airports that have programs where your child with Autism can take a “practice flight” before they travel. You can find a list of these and more details here. LAX Airport is the most recent airport to implement such a program. Details can be found here. I highly recommend you have a friend or relative drive you to the airport. By the time you drive, park, and tow your luggage, your child could already be approaching meltdown mode. 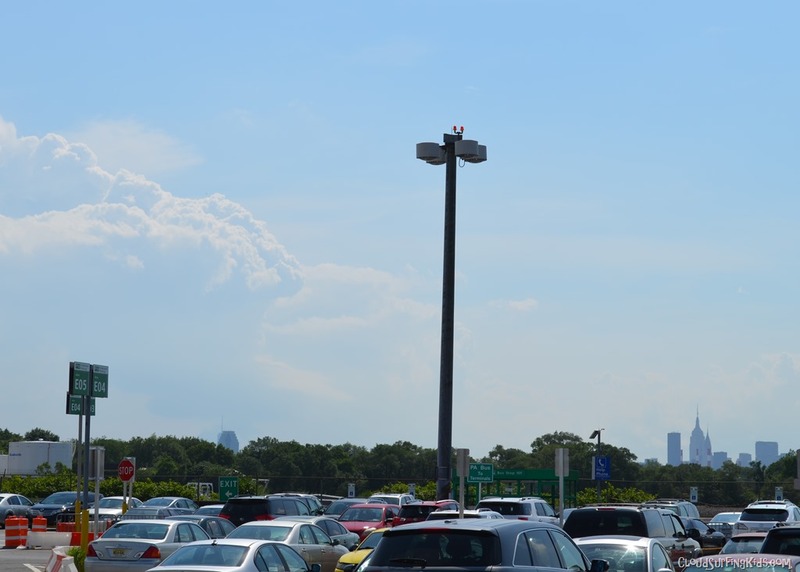 Another great alternative is an airport park and fly. They usually pick you up right at your car and drop you off there upon your return. 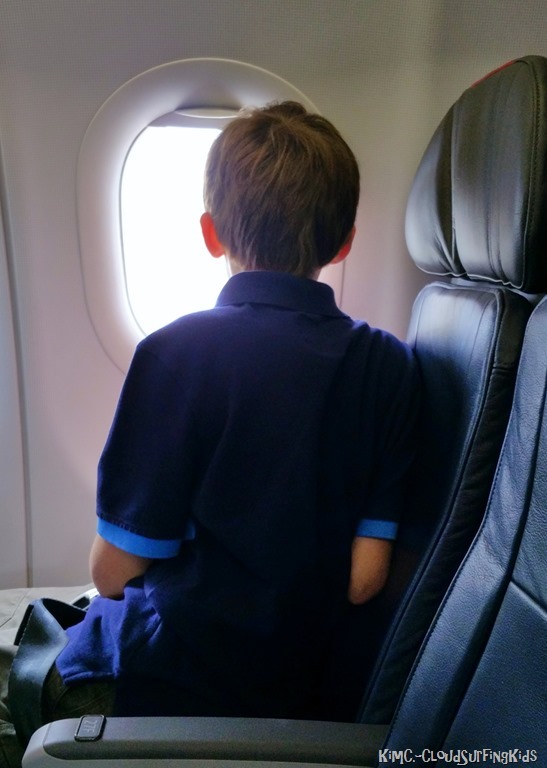 TIP: Talk with your child about airplanes taking off and landing and the loud noises the engines make, as you will encounter these noises before you even get to the airport. Most major airlines offer self-service check-in machines. You can usually check in online at home before you leave for the airport but if you are checking bags, you will need to stop at the check-in machines. Alternatively, if someone has dropped you off, it’s much easier and quicker to use curbside check-in. 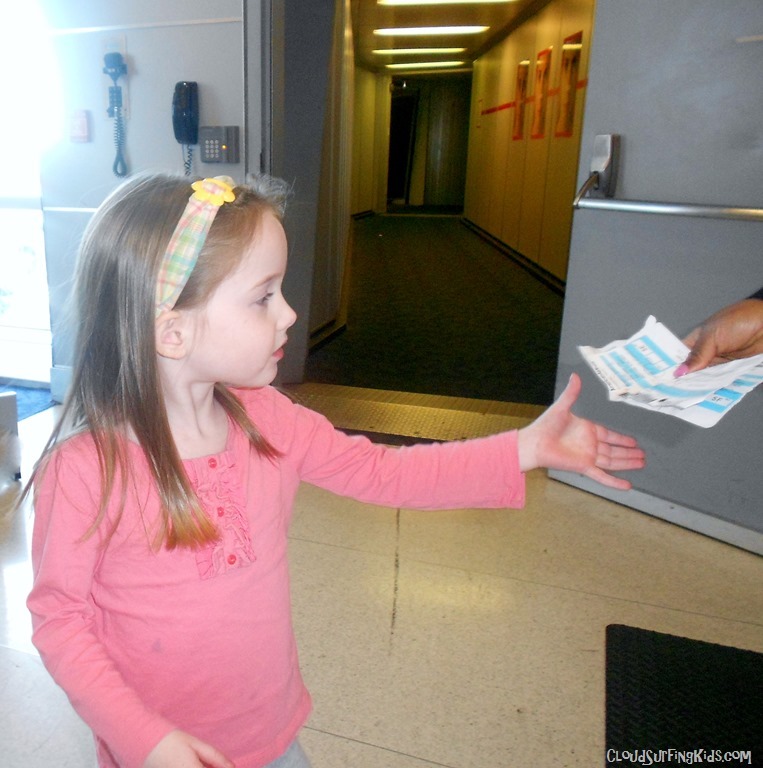 That way your bags are checked on the flight right away and you can give your full attention to your child. You can also get your seat assignments if you haven’t already printed them at home. TIP: Find out which type of airplane you will be flying on. I suggest that you try to get seats away from the engines since they can be very loud and disturbing to a child with sensory issues. I highly recommend getting a TSA pre-check or Global Entry card before you travel (the process might take a few months). Either one will allow you to to to a special pre-check line. You can find details of how to apply HERE. There is usually little to no wait at these special lanes. I have found that waiting in a long security line agitates my son and this sets the tone for the rest of the travel day. These cards are well worth the money and are valid for several years. The Global Entry card also allows you to clear U.S. customs and immigration much faster if you plan to travel outside the United States. There is also more helpful information on this TSA Kids webpage. 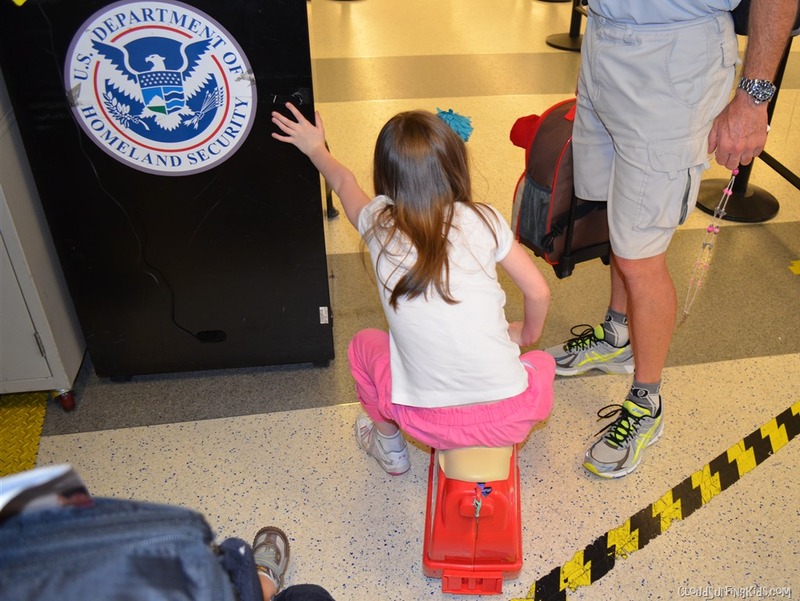 Many airlines have stopped allowing families with children to pre-board. You might try explaining to the gate agent that your child has Autism and might need a few extra minutes to get situated. Be sure to pack snacks, small toys, and books for the flight. Airlines now allow electronics to be used during all phases of flight. They must be in airplane mode for takeoff and landing. Check to see if WiFi will be available on your flight. It’s easier to sign up for a pass while at home than sign up in flight. Although streaming videos is not available, YouTube will usually work! TIP: Pack headphones that fit over your child’s ears. They will help drown out the engines noises. This is especially helpful if your child has sensory issues. I think it’s important for you to study and share the safety briefing card with your child. Let him/her know that if there is an emergency you will all slide down a giant slide to quickly get off the airplane. Please let him/her know that the flight attendants and pilots are there to help them. Let him/her hold the briefing card and look at the pictures. My son is often very afraid when he doesn’t know what to expect. Tell your child that the pilots and the flight attendants will make announcements over the speaker often. Sometimes they can sound very loud. 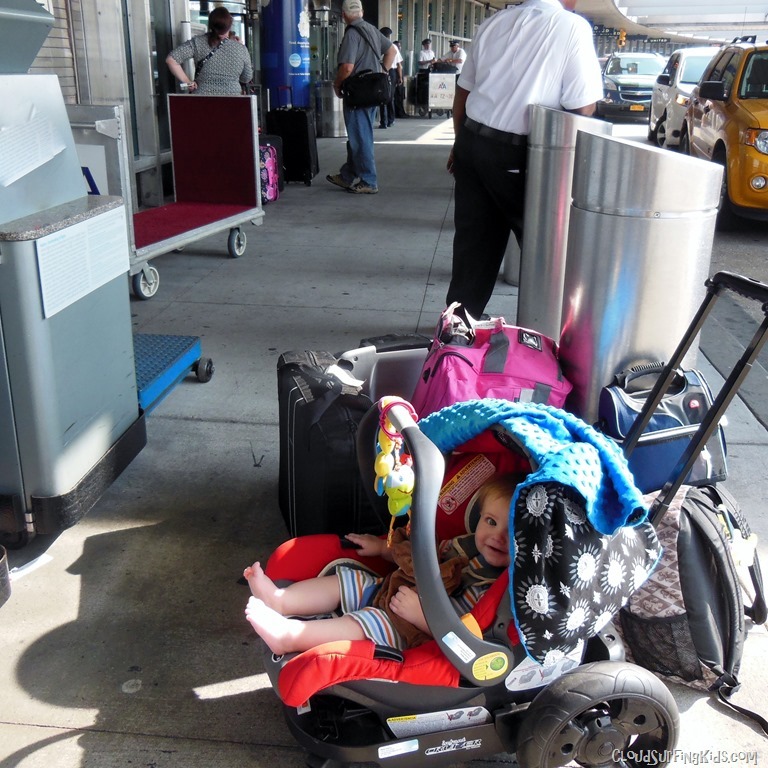 From the editor: I hope these tips help as you prepare for flying with your child! If you found it useful, share with a friend! Please comment below to show your appreciation for Kim C. for sharing her advice. Do you have other tips from your own experience? Share with us in the comments below!